Leutze's depiction of Washington's attack on the Hessians at Trenton on December 25, 1776, was a great success in America and in Germany. 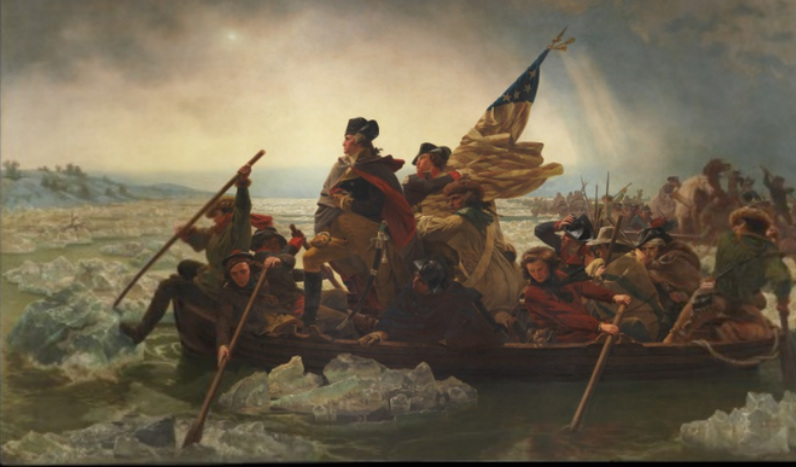 Leutze began his first version of this subject in 1849. It was damaged in his studio by fire in 1850 and, although restored and acquired by the Bremen Kunsthalle, was again destroyed in a bombing raid in 1942. In 1850, Leutze began this version of the subject, which was placed on exhibition in New York during October of 1851. At this showing Marshall O. Roberts bought the canvas for the then-enormous sum of $10,000. In 1853, M. Knoedler published an engraving of it. Many studies for the painting exist, as do copies by other artists. When people say that there is a distance, a stiffness in my photographs, that the people look like they do not connect, my answer is, that this is the best that we can do. This inability to show physical affection is in our heritage. Tina Barney is best known for her ongoing documentation of the lifestyles and relationships of her family and close friends, many of whom belong to the social elite of New York and New England. Barney’s style is part candid, part tableau; her subject matter raises in equal measure issues of privilege and the interaction of family members. While striving for the candidness of a snapshot, Barney became one of the first artists working in the 1980s to explore a “directorial” mode of making pictures. Her decision to direct her subjects stems in part from her choice to sacrifice the nimble freedom of a 35 millimeter camera (with which she began her photographic career) for the large format camera’s ability to deliver a more detailed rendering of the trappings of wealth so integral to depicting her subjects and their environment. Her direction ranges from posing her subjects to simply asking them to repeat a spontaneous gesture, and her style of working often includes careful lighting and the help of an assistant. The effect is an unexpectedly intimate access to her subjects. Marina’s Room (1987) is exemplary of Barney’s early style while its companion, Marina and Peter (1997) reflects Barney’s later shift to a more direct and less directorial approach to portraiture. In the former picture, Marina and her father are pictured sharing a private moment while seemingly oblivious to the photographer’s presence. A narrative is suggested, but as the title implies, the picture is as much about the things found in the room, as it is about the people who occupy it. In the latter picture, the very same subjects have been photographed – again from across the bed – ten years later. In the course of a decade, Barney has brought her camera closer and closer to her subjects. Here, Marina and Peter acknowledge Barney and her camera; in return, Barney allows them to strike their own poses – to be themselves. In juxtaposition, these two photographs have much to say about changing relationships: of father and daughter, photographer and subject, and between families and friends. Barney was born in 1945 to a wealthy family in New York. Her grandfather introduced her to photography when she was a little girl and at 26 she began collecting photographs, though she did not take up the practice herself until the mid-1970s. 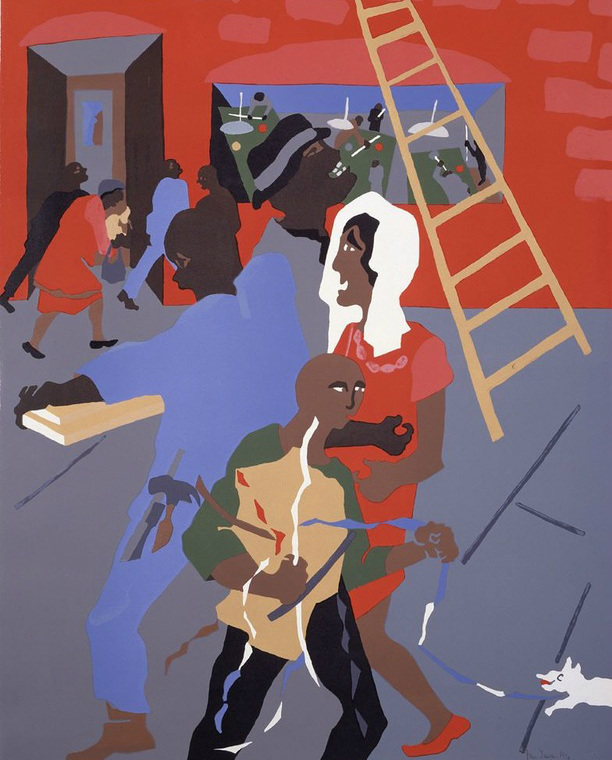 Her work is in such collections as the George Eastman House in Rochester, New York; Yale University Art Gallery in New Haven, Connecticut; Museum of Fine Arts in Houston; and the Museum of Modern Art in New York. She currently lives and works in Watch Hill, Rhode Island.